Located corner of Heg Park Rd and Norway Hill Rd off SR 36 Coordinates Lat N 42:48':11" Lon W 88:10':16"
Under the leadership of John Luraas, forty pioneers came to Muskego Lake from Norway in 1839, to found one of the most important settlements in Norwegian-American history. After temporary setbacks, the settlement flourished here through 'the leadership of Even Heg, Johannes Johanssen, Soren Bache, Elling Eilsen, James Reymert and Claus Clausen, who sent glowing reports to Norway and encouraged a large movement to this country. This settlement gave rise to the first Norwegian Lutheran congregation organized in America (1843) and published the first Norwegian-American newspaper. 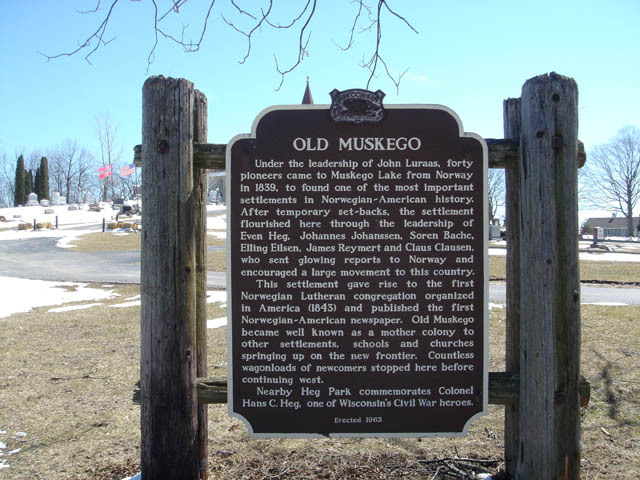 Old Muskego became well known as a mother colony to other settlements, schools and churches springing up on the new frontier. Countless wagonloads of newcomers stopped here before continuing west. 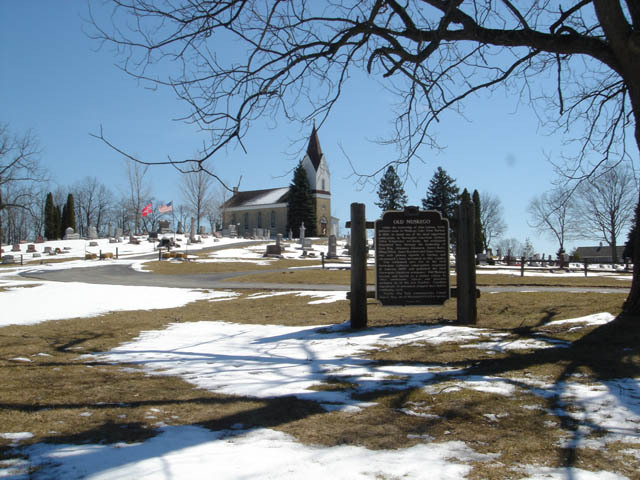 Nearby Heg Park commemorates Colonel Hans C. Heg, one of Wisconsin's Civil War heroes.